ROME, Jul 5 2017 (IPS) - In the Near East and North Africa region, the per capita renewable water availability is around 600 cubic metres per person per year –only 10 per cent of the world average- and drops to just 100 cubic metres in some countries, the United Nations warned. “Arab states must continue to seek innovations to overcome water scarcity in the face of climate change,” said the Rome-based UN Food and Agriculture Organization (FAO) Director-General José Graziano da Silva at an event co-hosted by the Arab League on the side-lines of the UN specialised agency’s biennial Conference (3-8 July 2017). He praised Near East and North African countries’ progress, despite the challenges, in areas such as desalination, water harvesting, drip irrigation and treating wastewater. “It is fundamental to promote ways for agriculture, and food production in general, to use less water, and use it more efficiently”. Agriculture accounts for more than 80 per cent of all freshwater withdrawals in the region, reaching peaks above 90 per cent in some countries including Yemen and Syria. Sustainable and efficient water management practices in agriculture are therefore key to achieving the Sustainable Development Goal of Zero Hunger. “The future of the Arab region is tightly linked to the problem of water scarcity,” said for his part the Arab League Secretary-General Ahmed Abul-Gheith. He also urged better collaboration with countries that are home to rivers that flow into the region, and noted that water levels in the Euphrates and Nile Rivers are decreasing steadily. More frequent and intense heat waves and reduced rainfall will curb growing seasons. With less rain, there will be a reduction in soil moisture, river runoff and aquifer recharge. Increased uncertainty will affect productivity, and make agricultural planning more difficult. 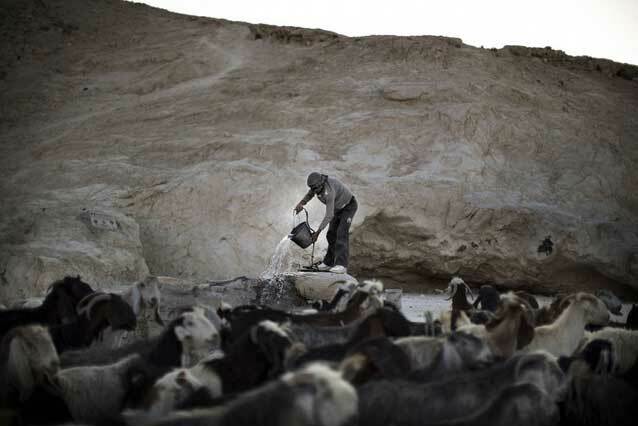 In collaboration with the Arab League, FAO launched a Regional Initiative on Water Scarcity in the Near East in 2013, which supports the coordination of a Regional Collaborative Strategy. Building on this, the UN agency launched a Global Framework, Coping with water scarcity in agriculture, at COP 22 in Marrakesh last year. It encourages cooperation among stakeholders and will help develop technology and governance based on good science. 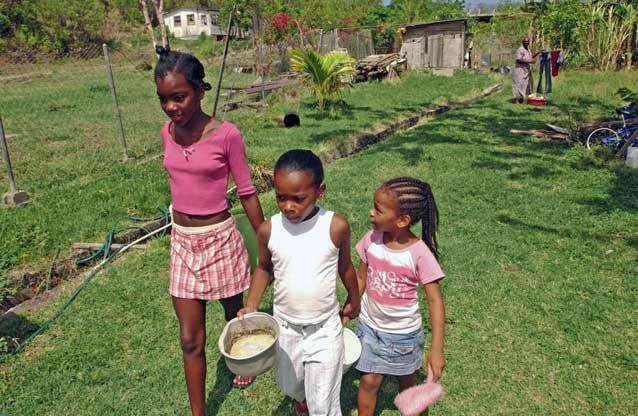 Meantime, new United Nations global action programme launched on 4 July at FAO seeks to address pressing challenges related to food security, nutrition and the impacts of climate change facing the world’s Small Island Developing States (SIDS). The initiative was developed jointly by FAO, the United Nations Department of Economic and Social Affairs (UNDESA) and the Office of the High Representative for Least Developed Countries, Landlocked Developing Countries and Small Island Developing States (OHRLLS). The Global Action Programme aims to achieve three objectives: i) create enabling environments for food security and nutrition; ii) promote sustainable, resilient nutrition-sensitive food systems; and, iii) empower people and communities for improved food security and nutrition. On this, Graziano da Silva stressed that the Global Action Programme is the fruit of wide-ranging consultations in the SIDS regions where food security and nutrition must be addressed together with issues such as climate change, the health of oceans, land degradation, social inclusion education and gender equality. “The impacts of climate change are particularly worrisome. They affect everything that we plan to do in the SIDS countries,” he said, referring to their vulnerability to rising ocean levels and the increase in extreme weather events such as tsunamis, storms, floods and droughts. For his part, the President of the Republic of Palau, Tommy Remengesau Jr. pointed to the need to “curb the alarming trends” in the SIDS such as, in the case of the Pacific region, the high rate of mortality caused by non-communicable diseases including cancer and heart attacks, to which poor nutrition is a major contributor. “I call on the international community, development partners, intergovernmental organizations and fellow SIDS to work together to help our communities and our people,” he said. FAO has scaled up its work with the SIDS in recent years including in areas aimed at improving the management and use of natural resources; promoting integrated rural development; and building resilience to extreme weather events. Last month during the Ocean Conference in New York, FAO presented a commitment to increase economic benefits to SIDS countries through the Blue Growth Initiative. In particular, this will be done through three specific regional SIDS projects, with funding of some 16 million dollars from this agency’s budget.